Young the Giant is one of those bands that even if you don’t know them, you have definitely heard one of their amazing indie tracks, whether it be “Cough Syrup,” “Silvertongue,” “My Body” or anything else in between. Luckily for the world of music and listeners alike, Young the Giant is back with the release of their fourth studio album, Mirror Master. The album starts off strong with the track “Superposition” and continues on a great path for 11 more tracks. 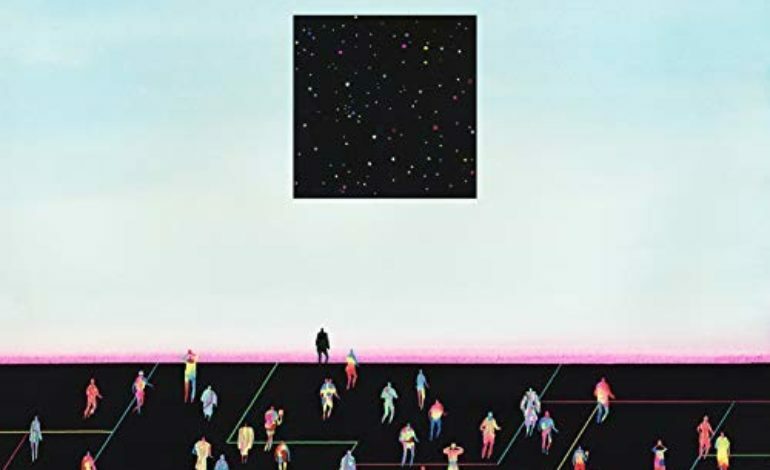 “Simplify” follows the opening track and brings the listener exactly what they would expect from Young the Giant and what they’ve known from the group. The uplifting nature of the vocals on the chorus of this track stands out as a shining star while offering the listener something familiar to hold onto. As the album progresses, Young the Giant takes the opportunity to explore some different vibes than just strictly upbeat. “Darkest Shade of Blue” sounds exactly the way the title sounds—melancholy with a little dreamy sprinkled in. It is arguably one of the best tracks on the album strictly based on the fact that it easily evokes emotions while listening to it. The combination of vocals and instrumentals make for something truly beautiful to listen to. Sadly, it is one of the shorter tracks on the album, but that’s why they invented the repeat button. “Tightrope” gets back to the vibe that is often associated with Young the Giant, but this time it is a little more in your face. This track feels a little more aggressive in the instrumentals for Young the Giant, but in the best way possible. There is a funky guitar riff throughout the track that really stands out, making this track nearly impossible to not dance around to while listening. “Tightrope” is the quirky track on the album that comes off experimental, but impressive all at the same time. All of the greatness that is Mirror Master wraps up on the charged up title track that is sure to leave a lasting impression on listeners far and wide. Again, this is a dance track with a feel-good vibe to it, all which is incredibly fitting for Young the Giant. Overall, this album could be described as being what you would expect from Young the Giant, just with a little experimentation and pizzaz mixed in, creating a solid album from start to finish.